During a Friday press conference to announce next year's historic short track extravaganza at New Hampshire Motor Speedway, Doug Coby called Whelen Modified Tour racing at NHMS the ultimate chess match. That was evident on Saturday, as the four-time modified king was shuffled from first to 15th over the final 20 laps and it was a Bobby Santos checkmate in the F.W. Webb 100. 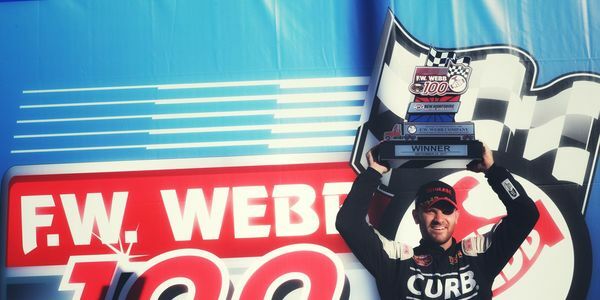 The win was the second straight for Santos, who became the first driver to sweep both Whelen Modified Tour races at NHMS since Ryan Newman in 2010. It was an emotional win for Santos, a close friend of modified legend Ted Christopher, who died tragically in a plane accident on Sept. 16. "I was his biggest fan, so I think maybe he helped me win this one today," said Santos, who now has three career wins in his last eight starts at NHMS. "This is where you want to win. It is what everybody shoots for. This is our Super Bowl. It means everything to win here." Rowan Pennink finished second, while Patrick Emerling, Donny Lia and Justin Bonsignore rounded out the top-five. The runner-up finish was the best in 23 starts for Pennink, whose previous best finish was fourth, back in June of 2009. "That last couple of laps were wild. We were out of luck for a while, but things opened up for us there at the end and we just found our way up," said Pennink, who entered Saturday fifth in the Whelen Modified Tour standings. "This was a good day for us. And I'm really looking forward to next September. It is always an awesome race with the modifieds, so 250 laps is going to be a great show." Emerling, who's never visited Sunoco Victory Lane at NHMS, has been red-hot at the 1.058-mile oval since September of 2013. Outside of a 20th in July 2014 and a 31st in July of this year, Emerling has finished inside the top-five five times and sixth twice. "The grip on the track threw us a curve ball, but Bobby was the first one to find it," said Emerling, referencing the PJ1 adhesive compound that was laid down on Turns 1 and 3. "I think we had the car to beat today. We had some smooth sailing - just had an array of cautions that didn't really help us out there." Timmy Solomito, who was hoping to take advantage of points leader Ryan Preece's absence on Saturday, saw his day come to an end with 60 laps to go. Solomito lost control of the No. 16 Ford and went sliding into the wall on the inside of Turn 2. He would finish 24th. Before the green flag dropped in the F.W. 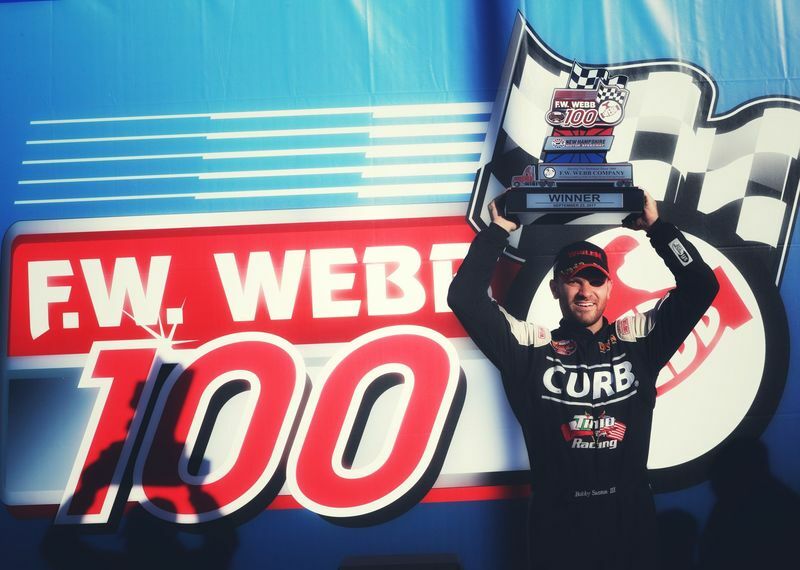 Webb 100, the field came together for a four-wide salute to Ted Christopher, a five-time modified winner at NHMS and a 10-time overall winner at the speedway. "The tribute was emotional. I was always one of Ted's biggest fans - since I was five years old," Santos said. "I grew up watching Teddy. He is my favorite; he made New England modifieds. He was nationally known and the recognition this past week was awesome and he deserved every bit of it."